This Galaxy S5 Neo LCD screen and digitizer assembly replacement is brand new and original. 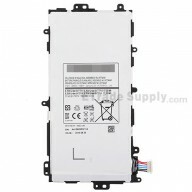 This LCD screen assembly replacement comes with the home button and Samsung logo, but without the front housing. This LCD screen and digitizer assembly with home button replacement for Galaxy S5 Neo is available in Gold, Black and Blue. This screen replacment is compatible with Samsung Galaxy S5 Neo G903F only. Special repairing tools are required for assembling or disassembling the Samsung Galaxy S5 Neo.